Animals never fail to catch babies' eyes -- and this bold presentation makes them even more irresistible. 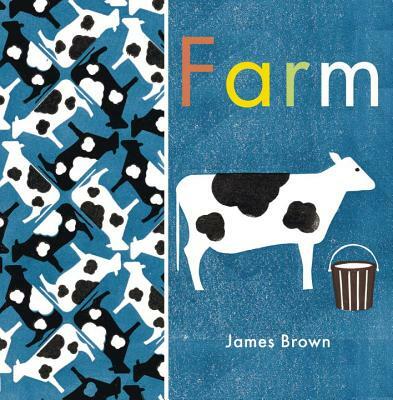 Introduce babies to the animal residents of a farm in a bright, graphic, nearly wordless board book that will grab their attention as it fosters developing visual skills. Each right-hand page features a simple white shape of a pig, sheep, dog, horse, goose, or cow against a vivid background, while the facing page features the same shape in a charming, folk-art-style pattern.